Here you can read the nursery testimonials from parents who have met our staff, seen the facilities we have to offer your child and use the services that we offer on a regular basis. We would like to take this opportunity to thank you all so much for all of your hard work and dedication. Our wish when starting with you was for our daughter to simply be happy and cared for and this has been surpassed in bucket-loads! The kindness and professionalism shown by your staff (to all of us!) has been outstanding and my daughter has blossomed under your care. My 10 year old son has been attending Radmoor Holiday Club for four years, he loves it – the activities are always varied and interesting to all ages, and they are so diverse; cooking / pond dipping / scooter days / numerous sports activities / various creative projects, to name just a few, the many outings, are especially good – the cinema trips being a particular favourite. All the staff are very professional being both friendly and approachable, the children clearly feel safe and happy, the club is also extremely well organised. My five year old son attends Holiday Club and absolutely loves it. There are a range of interesting activities for the children, with excellent staff to support them. My son also requires additional support due to a physical impairment, and the staff have been wonderful in applying for funding to support him one-to-one. He really enjoys holiday club and it has definitely enriched his holidays, offering him lots of social activities and opportunities. We have used the nursery since 2010 when our older son started in the baby room and stayed until he went to school, attending 3 days a week. Our second son is now in the toddler room and has been at the nursery since September 2015. The main reason we chose Radmoor for our childcare was the staff, their professionalism, caring, positive attitude and kindness, and this has not changed from the day we first visited the nursery to today. Each day, children and parents are greeted with smiles, children are welcomed and cuddled in a caring manner on those days they don’t want to part from parents. Each child is treated as an individual and dealt with on this basis, each day my child has carried out a number of activities but with plenty of free time, mostly outside, which has increased his social skills and confidence. At the end of the day, we are always given feedback on what he has been doing and this is also written down to refer to if needed. The nursery also looks to go above and beyond, in the summer holidays when numbers are lower, different activities are arranged including taking children swimming on a one on one basis. The nursery is also good at handling situations where required e.g. our older son had a difficult phase following one of the transitions between nursery groups and was not settling. I was able to have a positive conversation with Veronica about this and we agreed a number of steps to take to try and encourage him to settle further e.g. removing family photos on the walls of the nursery which for him he was finding upsetting. At all times, I find the nursery a welcoming place for me and my children and I always feel fully confident my child will be cared for in a very positive manner and will enjoy his time in their care. I wanted to say a very big thank you for caring for my daughter Hannah over the summer. She attended the short day sessions on Tuesday and Fridays for the four middle weeks of the holiday. It was the first summer holiday where I have had to arrange childcare and I found the thought extremely stressful. Holiday Club exceeded my expectations and more importantly my little girl thoroughly enjoyed her time with you all. The stress of future holidays will be minimalized knowing that Hannah enjoys coming to play. She even wanted to spend her birthday money on Hama beads after enjoying crafting with them so much with you. Keep up the good work, and although we probably won’t book sessions at the club until February next year we will definitely be back! Thanks once again, you are a true asset to the nursery and to working parents. Caroline and I would like to take this opportunity to express our sincere thanks and appreciation for the great work carried out at the nursery. Whilst my wife was at work at the time, the children and I thoroughly enjoyed the family picnic which was, in typical Radmoor tradition, carefully organized, skilfully run and a wonderful occasion! We both recollect last years’ picnic (we both attended!) and the fun we all had (along with the sadness we both felt as Alexander was leaving nursery for his foundation year at Outwoods) – Again, everything was lovingly organized and the staff went over and beyond their duty to accommodate both children and parents. With Elizabeth now at nursery, we know our little ones are safe and enjoy the early learning experiences and interactions with other children and staff at Radmoor. We thank you and all the staff at nursery; please carry-on as you do and please, don’t change anything! The staff at Radmoor Nursery really care about the children and form close relationships with them, understanding their likes/dislikes. Many of the staff have been there a long time and are very experienced, this is something that appealed to me greatly. As I work full time I needed to feel happy and confident that my children were being well looked after. Both of my children have always been happy to go to nursery, having fun with their friends and enjoying a wide variety of activities. I would have no hesitation in recommending Radmoor Nursery to any of my friends. I have continued to use the after school club run by Radmoor and will be using the holiday clubs during school holidays – all of these are run with the same level of professionalism, care and friendliness as the Nursery. My son has really enjoyed his time at the Radmoor Nursery, making many friends and learning and growing in a safe, secure and fun environment. He has been at the nursery since he was seven months old and I feel the nursery has been integral to his physical, social and mental development. I have always found the staff to be friendly, flexible and responsive to any concerns I have had, and I appreciate the feedback we get through his going home book. I appreciate the emphasis on education and preparing him for school, encouraging him with numeracy, literacy and writing, all of which are coming on in leaps and bounds, and spending time reading with him which he really enjoys. We will all be sad when he moves on from nursery, but will be reassured since the nursery will be providing his after school club care as well, we know he will receive the same standard of service and continuity of care. I am delighted that my son Jakub attends Radmoor Nursery as their staff are committed and always happy to discuss any concerns I might have. He was only six months old when I had to leave him so it was especially tough time for us both. Now I know that my worries were completely unnecessary as my child is in good hands and is a very happy one, so this only confirms to me the quality of the nursery. He has developed so much and keeps surprising me every day with his new language and motor skills. I would definitely recommend Radmoor Nursery to anyone with no hesitation. My husband and I had visited several nurseries around Loughborough and found Radmoor Nursery to significantly stick out of the crowd for several reasons. When we first arrived we were made to feel very welcome, provided with plenty of information with all our questions answered. The facilities are excellent and the staff are polite, knowledgeable and friendly. The very low staff turnover gave us a good indication that they are treated very well and from our own observations they seem to be happy and look to be developing their careers in leaps and bounds. Radmoor Nursery gave us the confidence we needed in the staff, care and environment that our son was in capable hands. From our son’s first day at Nursery we have been very happy with the care he’s received, and reassured that he’s well looked after by the whole team. The communication is great so we know exactly what he’s been up to during the day, and we can talk about what he’s learnt and support what he’s doing at home. All the staff are approachable and friendly and right from his first day have tried to tailor his routine to make the transition of me going back to work as smooth as possible. Benjamin has a dairy intolerance and the staff have been great at making sure this is adhered to as well! At seven months, our daughter was young when she started nursery and worry was only natural but it wasn’t necessary. She has always been well looked after and has never been bothered about being dropped off. Now three she still loves going to nursery. All aspects of her development have been well supported and it is always fascinating to read about her progress in her learning journey. Radmoor Day Nursery is a very special place to us. Most of the staff have worked there a long time and they work together like a family. They go out of their way to care for, nurture and develop all the children as individuals but also encouraging them to play together as they get older. The staff know us as a family and encourage family photos so the children feel connected even when they are apart from us. When times have been difficult for us as a family the nursery has given us all great support which has often been beyond the call of duty. I wouldn’t dream of sending my children anywhere else. My son has attended the Radmoor Nursery since he was six months old, he is now a confident and lively four year old and about to start school. The staff at the nursery have been fantastic and I really feel they have made a huge contribution to his development from babyhood, through the toddler stage and into the preparation for ‘big school’. I have found the nursery exceptionally responsive to the individual requests that I have had with regard to the care of my children. Examples include how well the nursery has accommodated my wishes for changes in sleep routines, potty training or even diets as my babies have grown. 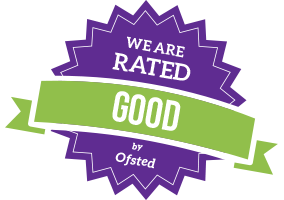 What has impressed us most during the time our son has been at the Radmoor Nursery is the team of experienced, supportive, and friendly staff who always demonstrate their care for the children and treat them as individuals, allowing them to develop as confident and well-balanced children. I chose Radmoor Nursery because both my children’s first language is Polish. There is one Polish lady working in the nursery and I thought it would be a great start for them and she would help them with any language issues. Today I can say that all the staff are brilliant and very experienced. They helped my children to settle in and they respect their culture, tradition and religion.